Rule #1 when traveling: say no to chain restaurants. Say no to comfort zones, convenient food options, and menu items you can pronounce. This goes for coffee as well. And I'm certainly not the only one who thinks this, as evidenced by this sign we found in downtown Charleston. #2: order steamed mussels so that the others at the table won't want to eat them and take away from your enjoyment of a little shoal all to yourself. #3: explore solo. This little cafe was an oasis for my exhausted, solo run of the city the first night. Many thanks to the handsome Clemson graduate and his French mother for their recommendations as well as the kind girl I mentally call "Emily" and her Australian fellow who gave me insider-tips on the best ways to enjoy their beautiful city. Community seating. It forces you to make friends. #4: eat the biscuits. You'll never guess how easy it is to befriend your waiter over a mutual love for carbohydrates. Or how easy it is to offend him by not eating the lauded biscuits. Tread carefully. Especially important to these trips are having a photo/tasting crew (referred to otherwise as "amazing friends") on deck to help you rate individual restaurants, take pictures, split the food prices, and to have an extra blast. 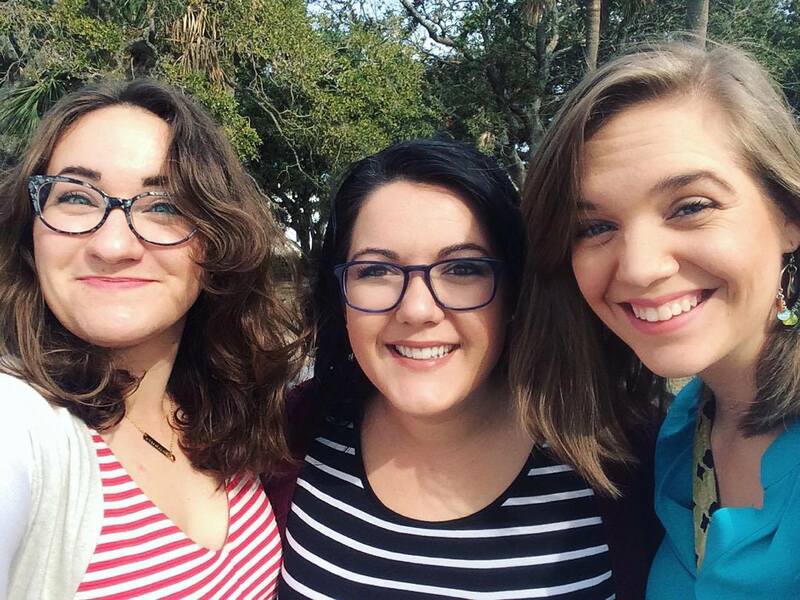 We ate so much amazing food in Charleston. I had already determined the fact that this place boasted a hoppin' food scene before coming, but I hadn't been in the city two hours before admitting that I'd need another trip (or four) in order to grasp even a reasonable "most" of the amazing food. Nevertheless, we still managed to hit three coffee places, two restaurants for dinner, another two for lunch, a beautiful hotel bar, and a minuscule but divine breakfast cafe. 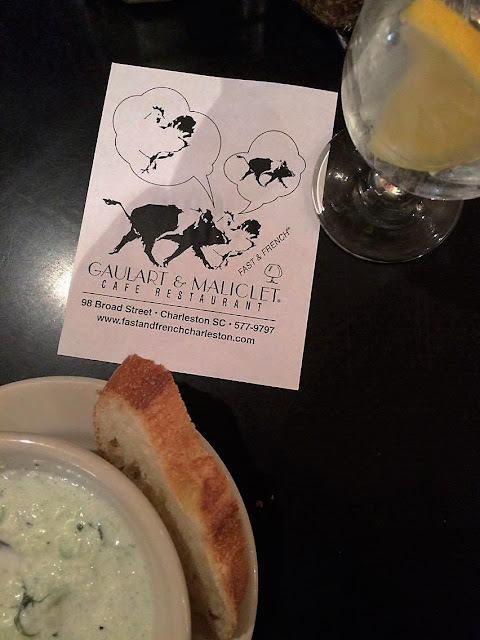 My one food regret is that I didn't hit an oyster bar since we were in oyster season, and that at the charming, atmospheric Gaulart & Maliclet I chickened out of trying escargot. I have rated the restaurants and cafes based off my experience there. Five stars means "exceptional," four is "I would highly recommend," etc. Hope this list helps inspire you to take your own weekend trip to this beautiful Southern belle of a town. Escapes a four-star rating because I had to park illegally to find any available parking in the neighborhood. My San Isidro pour-over, however, was delicious and the staff friendly. Though I didn't buy a thing but a really good latte, I could tell that this Kosher cookie bakery had their game down and on-point. Drop by for a creative cookie flavor (vegan and gluten-free options available) and a cup of locally roasted King Bean Coffee. The hipster minimalism of this new cafe on the far end of King St. promised so much but the lattes we ordered felt dispirited and not worth the money we paid. Skip Relevator and head elsewhere for your coffee fix. I've never stepped into a tinier shop. Despite the store's claustrophobic residence in the tiny, tiny, little building, Callie's HLB is well-worth the time spent standing in line. It was extremely busy even on a late Sunday morning so get there with plenty of time to anticipate that amazing biscuit breakfast! If you're able to escape the intoxicating aromas coming from the (pricey) Lebanese restaurant down the block, Taziki's is a delicious, much cheaper alternative for very similar food. I ordered the lamb gyro and it absolutely hit the middle-eastern-food craving where I needed it. Mentioned above, this darling French cafe is the perfect stop for a solo dinner or quiet date. Don't try bringing a large party in - the tables are bar-style and more suited to clusters of two or three - but most definitely go. The shrimp toasts are divine as was the chocolate mousse pie which I ordered on strength of the Clemson grad's word. If you're looking for a place to rest from the crowds, the weather, or to simply put up your busy, traveling feet for an hour or two, you should head to the Thoroughbred Club straight away. Live piano music and high-quality desserts and drinks are just the right accompaniment to quiet conversation. Try the creme brulee - it's one of the best I've tasted while out. I feel like Magnolia's needs little talking up. Everyone who googles "best restaurants in charleston" come up with this place as a recommendation for a lovely dinner out. Just trust them on this. My steamed mussels with grilled bread was excellent but my favorite part of dinner was actually the crispy brussels sprouts side which I will definitely be trying to recreate ASAP. Finished with a chaser of cinnamon ice cream and hot, black coffee. It sat next door to the James Beard Award-Winning restaurant, Husk, so it couldn't be horrible, right? Let me tell you: Poogan's might sound like a place you'd be welcome to eat at alongside your pet poodle, but the food is amazing, the service friendly, and the grits sublimely creamy. 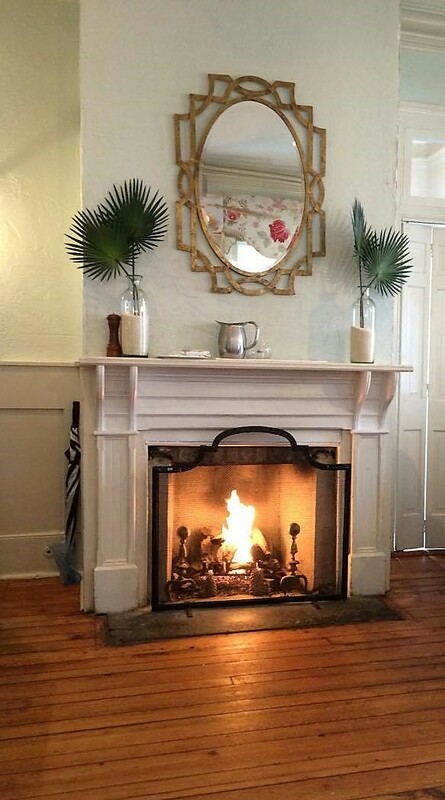 Plus, let's talk biscuits and a fireplace in every room. Add this to your list for a lazy Sunday lunch. I absolutely cannot wait to return to this beautiful city and continue to explore the amazing food-culture she has to offer alongside her lengthy history and gorgeous architecture. Till next time, Charleston! You were such a lady. I haven't been to Charleston since my third-grade field trip to the aquarium, but I'm 100% sure I need to visit again. My mouth is watering.